The Sort & Go collection is another beautiful space-saving soloution from Brabantia. 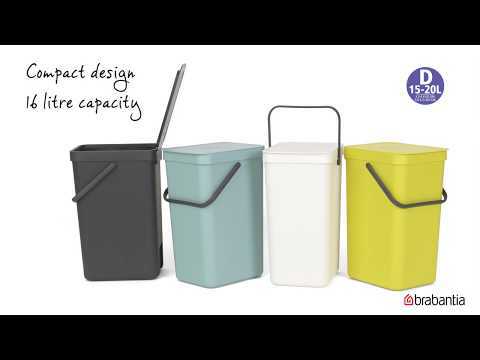 The colourful bins are a smart solution for separating, collecting and transporting your waste, and thanks to their compact design they will look great against the floor, on your countertop, or even secured to your wall. Mix and match them with the 12 and 16 litre bins for your perfect home solution.